WPSN-C member, Anna Snyder, conducted conflict resolution training for political parties, NGOs and civil society in Burma/Myanmar in December 2013. Anna Snyder is an Associate Professor of Conflict Resolution Studies at Menno Simons College at the University of Winnipeg, Manitoba. 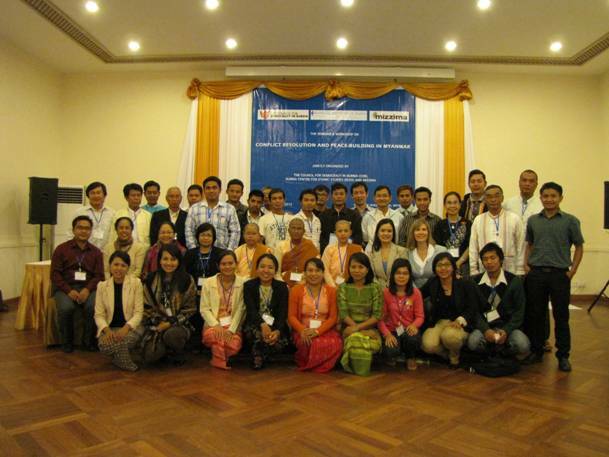 In December 2013, she co-hosted conflict resolution training for Burma’s political parties, NGOs and civil society. The following is a summary of this event. Dr. Anna Snyder and Dr. Stephanie Stobbe were key facilitators in the seminar and workshop on “Conflict Resolution and Peacebuilding in Myanmar,” that took place in Yangon, Burma/Myanmar, December 16-20, 2013. The seminar and workshop were organized by Zaceu Lian, Director of the Council for Democracy in Burma (and University of Winnipeg alumnus) and funded by Canadian business leaders, including the DeFehr Foundation. Events focused on top and mid-level political leaders. Political leaders and members of 23 political parties and 28 media groups attended the opening ceremony on the 16th the first day of the seminar; the total number of participants over the 5 days was 133. The event served to bring together members of political parties who had not previously had the opportunity to work together. 88 Generation movement leaders, Ko Ko Kyi and Min Ko Naing, who are nationally recognized political leaders, were among the distinguished speakers. Council for Democracy in Burma’s (CDB) board member, Dr. Lian Sakhong, has been instrumental in negotiating the nationwide ceasefire between the government and armed groups and as such CBD has strong connections in Burmese/Myanmar political circles. Myanmar is in transition from an authoritarian military government to a democratic society and the government is negotiating a nationwide ceasefire with 16 different armed groups after first negotiating 16 separate ceasefires. Our seminar and workshop came at an important time. Approximately 55 returned for the second day of the seminar during which Drs. Brian Rice (University of Winnipeg), Lian Sakhong (Burma Centre for Ethnic Studies, Thailand), Stephanie Stobbe, Anna Snyder, and Kjell-Ake Nordquist (Uppsala University, Sweden) presented their research on: history of an indigenous political alliance in North America, current peace negotiations in Burma, Lao traditional conflict resolution processes, women refugees’ contributions to peacebuilding, and truth and reconciliation commissions. Dr. Snyder’s presentation on the peacebuilding capacity of refugee women from Burma, Sudan, and Tibet created space for the women at the seminar to protest the absence of women’s participation in the peace negotiations and the small number of female parliamentarians. The workshop, led by Snyder and Stobbe, was attended by 40 participants who represented 12 political parties, 15 NGOs, and civil society. The group was comprised of six different ethnic groups from diverse religious backgrounds, including three Buddhist nuns. Drs. Snyder and Stobbe developed workshop presentations and materials on three major themes: Conflict Analysis, Peacemaking, and Peacebuilding/Reconciliation. The first day was devoted to Conflict Analysis; participants used the basic conflict analysis skills and models to analyze the complex situation in Myanmar and find common understandings of the causes of the conflict across ethnic and political lines. The second day was devoted to peacemaking skills at the personal, group, and national levels. Participants were introduced to effective communication skills, conflict styles, and collaborative negotiation. Community peacemaking in neighboring Laos was used as a starting point for exploration of traditional conflict resolution within different ethnic groups in Myanmar reinforcing the local peacemaking processes practiced in Myanmar today. The day finished with mixed ethnic and political groups developing common visions of what they would like Myanmar society to become. The third day focused on Peacebuilding/Reconciliation. Issues of identity and trust in peacebuilding and reconciliation were discussed as well as the roles of top, middle, and grassroots leaders. At the workshop, the diverse participants found common ground. The workshop was designed to be very interactive, full of small and large group collaboration and, as such, create space for dialogue. Throughout the three-day workshop, action pieces illustrated the concepts being discussed (e.g., negotiation exercise, brainstorming activity, and evaluation and action plans for peacebuilding). Group activities provided participants with an opportunity to learn to know members of other ethnic and political groups and experience what it would be like to work together. Participants showed respect for each other’s different views and traditions. 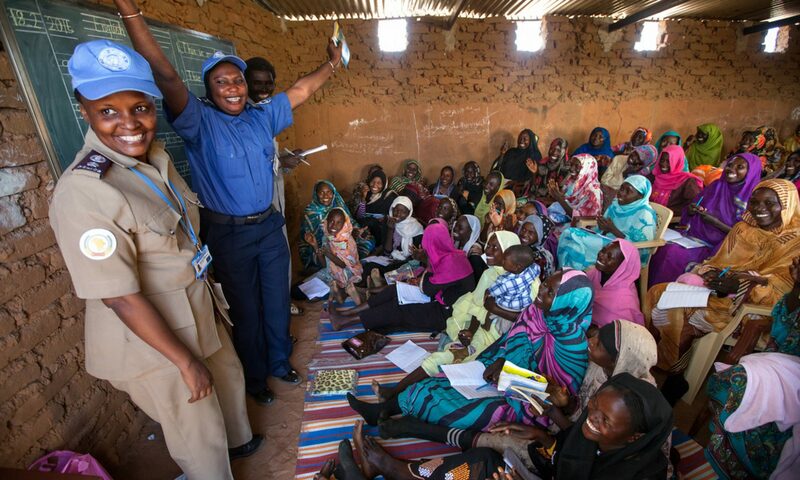 Overall, the participants were very engaged, enthusiastic, and willing to share their thoughts, perspectives, and experiences in addressing conflicts in their families, communities, and country. At the end, participants in the three-day conflict resolution training received certificates of completion presented by Art and Leona DeFehr, Drs. Snyder and Stobbe, and the Canadian Ambassador to Burma, Mark McDowell. The workshop was very successful and has resulted in invitations for Snyder and Stobbe to do further training sessions with political parties and NGOs in Myanmar.